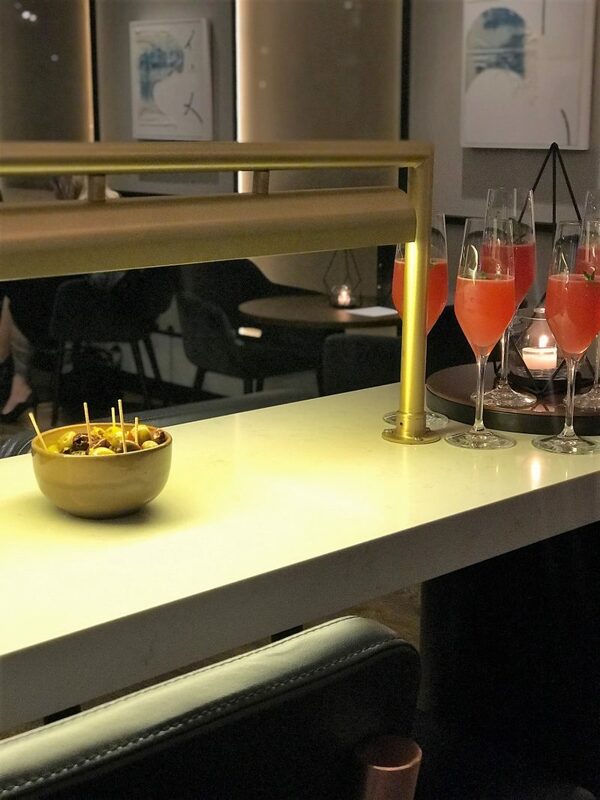 Towards the end of January, I had the pleasure of combining an overnight stay at the new StayBridge Suites in Manchester, with a taster dinner at The Laureate. Both StayBridge and The Laureate are part of the newest Crowne Plaza, situated in the University hub of Manchester, just off Oxford Roads. Now I’ll be honest: it’s not an area I venture to often. 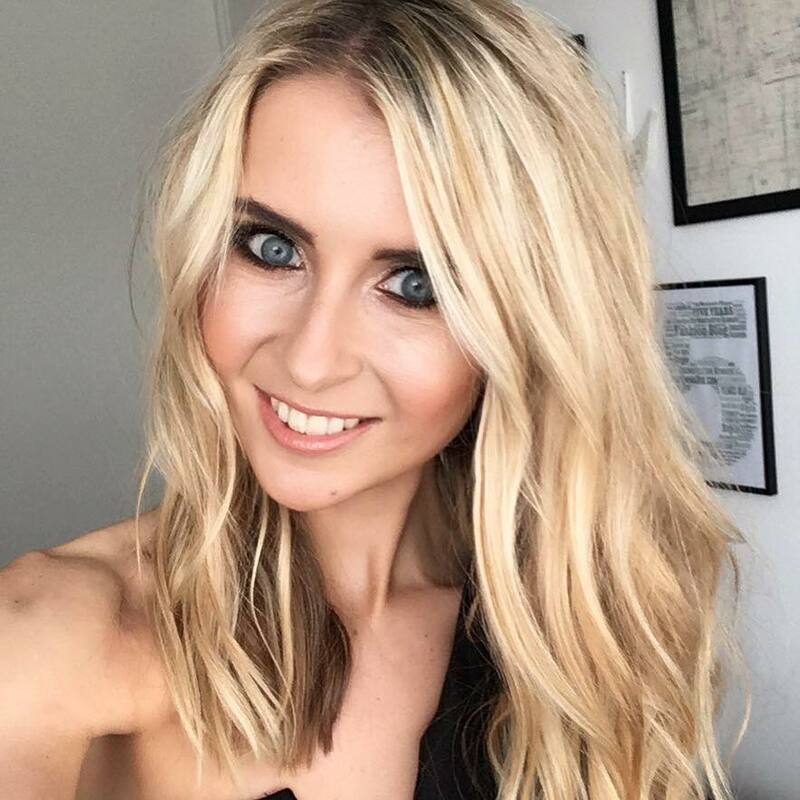 The majority of my food, drink and travel reviews mainly sit around the Spinningfields, Deansgate, Northern Quarter sides to Manchester, so it was a nice change to see what the South end of the city has to offer. Amongst the various student filled and budget friendly eateries, the Crowne Plaza and StayBridge Suites sit tall, with a glimpse of their new restaurant visible to passers by. The Laureate has been influenced by the diverse population and the world-leading educational institutions on its doorstep, which hints towards the name. Before I go into the taster evening at The Laureate, lets have a look at the beautiful StayBridge Suites. I had been given the heads up beforehand that these apartment style rooms were incredibly lovely, so I was super excited at checking them out. And when I arrived at the 18th floor to check in, greeted by the floor to ceiling windows overlooking the city, I wasn’t disappointed upon first glimpse. The suite was spacious, modern, and basically resembled a stylish home away from home. The kitchen was the first that impressed me, a fully equipped kitchen with it’s modern, clean white tiling and sleek black grouting, It’s breakfast bar and coffee machine overlooking the living area, floor-to-ceiling windows and TV really set the scene. 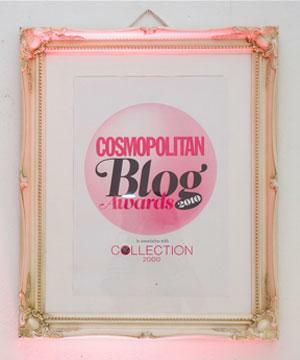 The bedroom was large with it’s own en suite – another chic and fashionably styled room which resembled newness. Straight away I felt that combination of comfort and security of a cosy little home for the night, and a mix of lavishness at staying somewhere so luxe and smart. The breakfast they serve up on the 18th floor in the morning too was a real treat, seeing as you could load up on all your breakfast favourites whilst looking out at the fabulous views of the city. It’s a real relaxing, cosy floor with lit up fireplaces, making a fabulous base for the kick-starting you day. I’d highly highly recommend the StayBridge Suites for couples or small groups look for somewhere modern and unique to stay in the city. They are super upmarket, yet without the pretentious feel. Just warm, friendly and comfortable. Here’s a lovely line up of photos I took of the breakfast setup too..
Firstly, we tried a couple of different cocktails from the bars cocktail menu, before taking our seats and having the pleasure of learning about the menu from the chef. 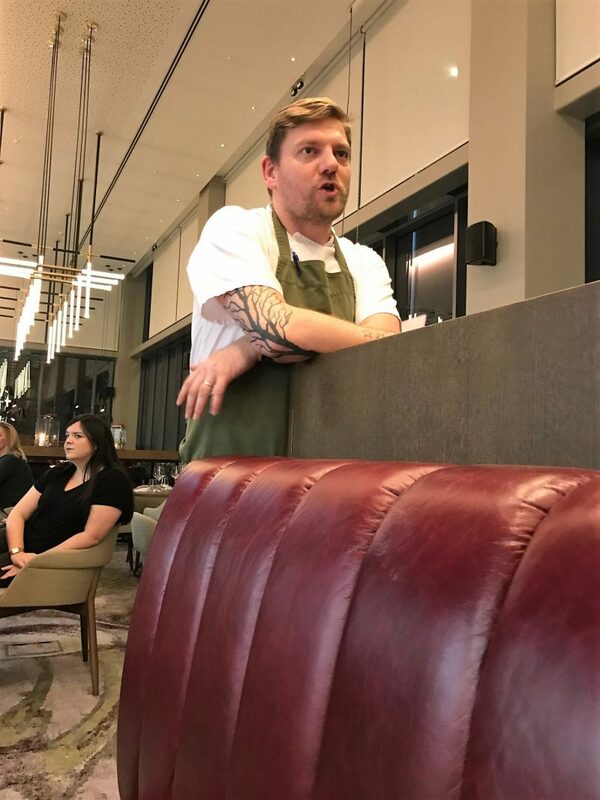 Executive chef Nathaniel Farrell and his ten-strong team are behind the restaurants à la carte menu, which will see seasonal updates which combine European classics and locally sourced ingredients, with Asia-Pacific flavours. Luckily, I’m extremely open with my food cuisines, and there isn’t one I’m not keen on. 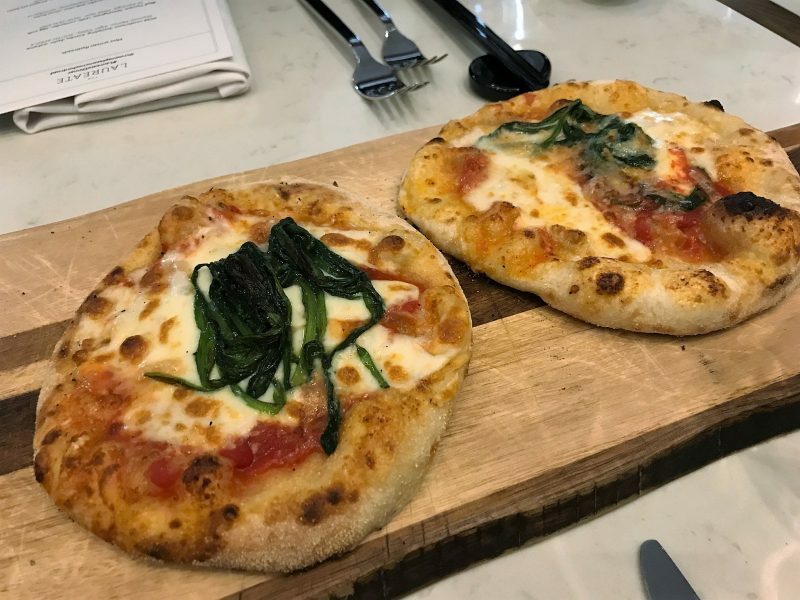 However, Italian tops it for me, so I was impressed to see that besides the Traditional British and Asian influenced dishes, the open kitchen with it’s brick oven boats a dedicated pizza chef, too. 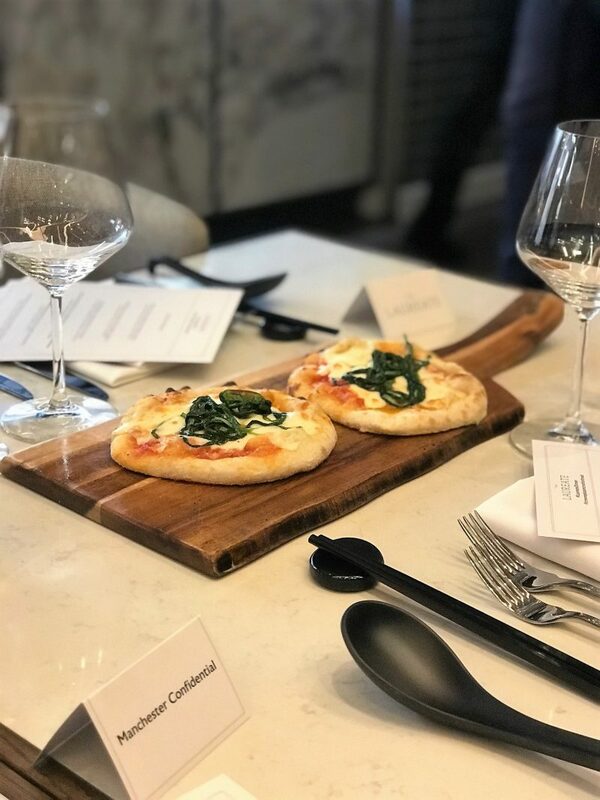 The dough for the pizza is made daily and topped with San Marzano tomatoes and Fior Di Latte cheese, ensuring an artisan flatbread pizzas finish. And more to my surprise, our first taster was mini artisan flatbreads, with sprinkings of spinach. The dough was as soft and tasty as expected, setting us up for the wild mushroom dumpling, Asian inspired, which came next. A different dish altogether, but one with lots of flavour and a rich sauce which had hints of soy. 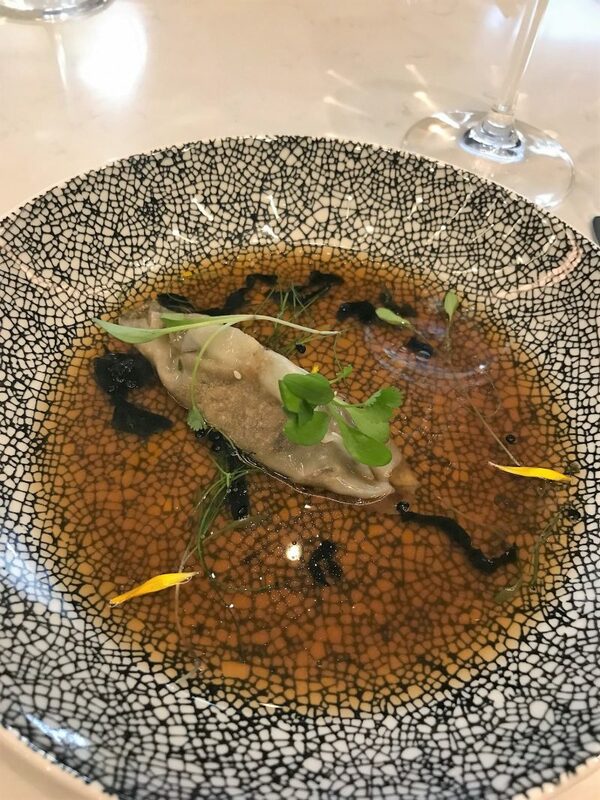 The mushroom was melt-in-the-mouth in it’s gyoza style dumpling – a great starter for those who love Asian twists. The dough was as soft and tasty as expected, setting us up for the wild mushroom dumpling, Asian inspired, which came next. A different dish altogether, but one with lots of flavour and a rich sauce which had hints of soy. The mushroom was melt-in-the-mouth in it’s gyoza style dumpling – a great starter for those who love Asian twists. 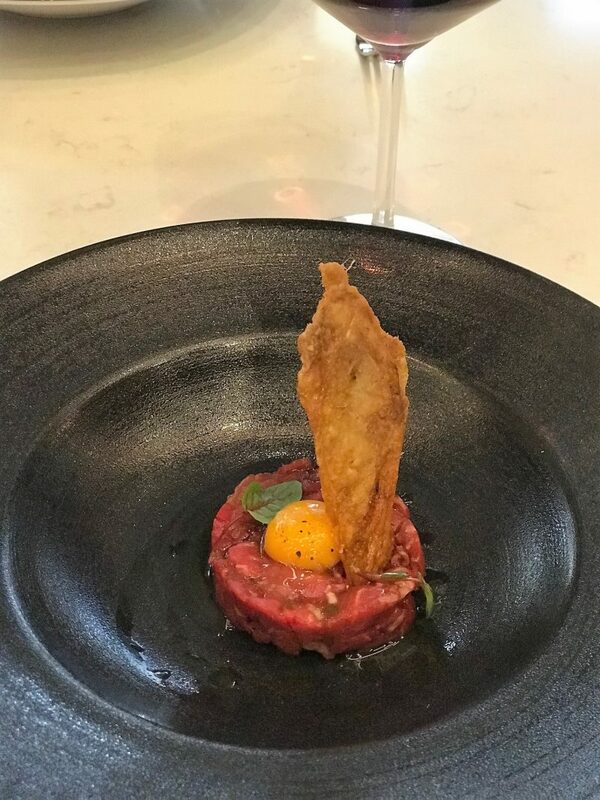 Next up was the Beef Tartare with lemongrass, chilli, coriander and egg yolk. 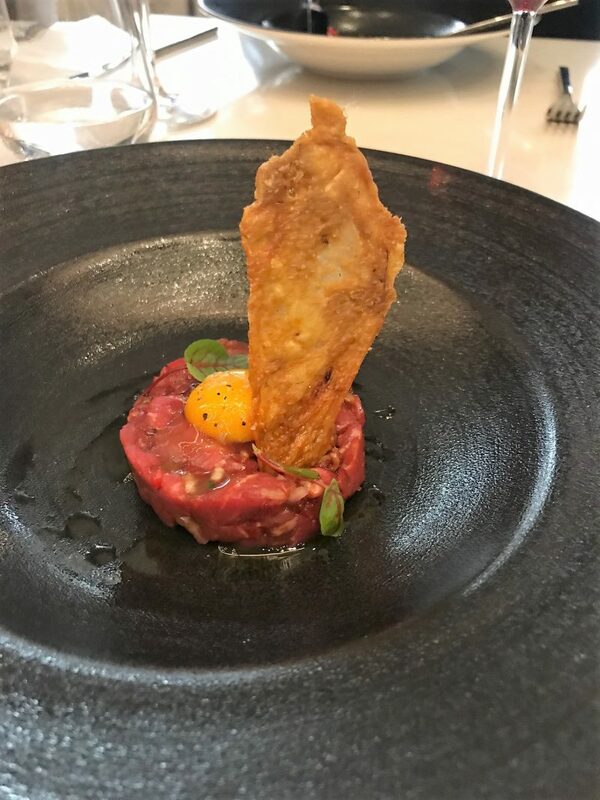 The beef tartare was a firm serving of delicious, chunky beef all packed together with Asian spices. 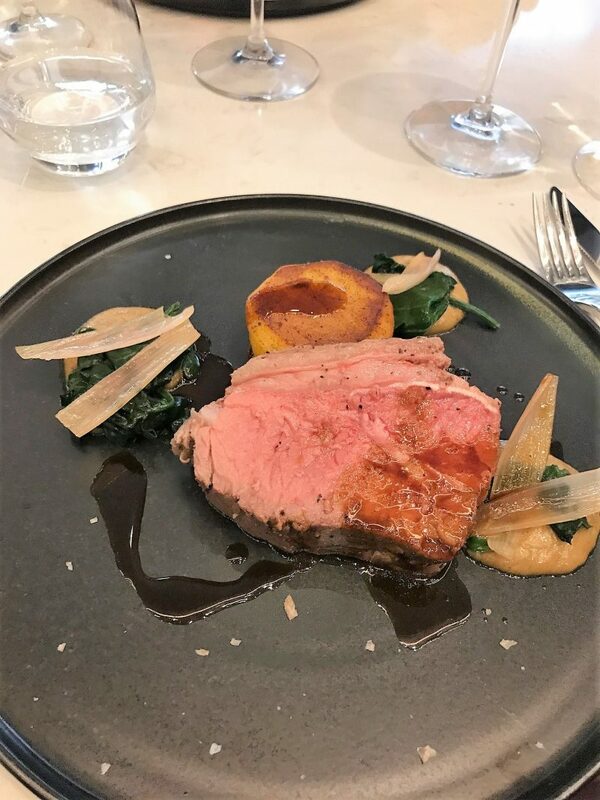 It was a refreshing and interesting take on beef, one I wouldn’t have expected, but never-the-less it worked extremely well, and will surely go down well with meat lovers. Then came the grass fed sirloin steak, with shallots, cooked medium with fondant potatoes. What a delicious tasting piece of steak, soft and juicy and full of flavour. The potatoes were fluffy with crispier skins on the outer, and this dish made a real British staple to the dining experience. 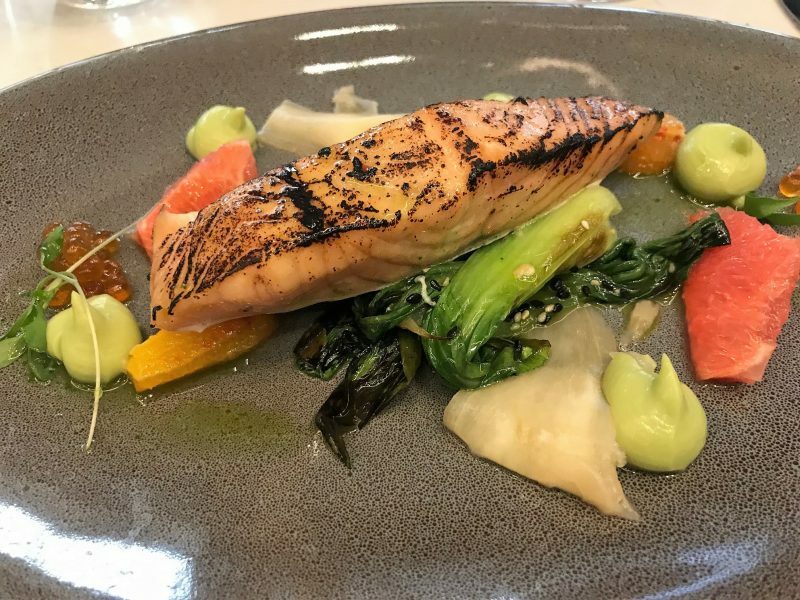 A delicious dish to follow was a serving of torched salmon with bok choi, avocado and citrus fruits. 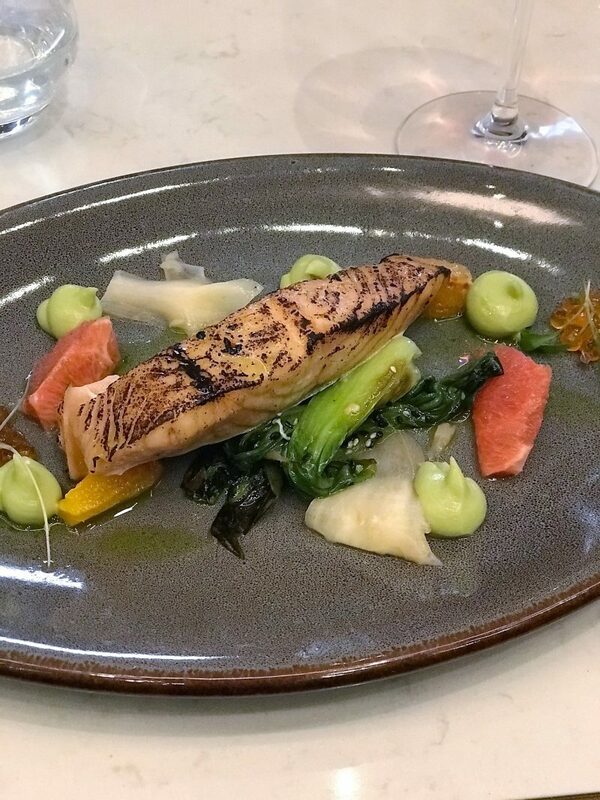 The salmon was incredibly tasty and cooked to perfection, slightly toasted on top, and went great with the whipped avocado with it’s creamy texture. Last but not least, two incredibly decadent and indulging desserts followed to finish of the taster evening. The first was a fondant, hazelnut and tonka bean ice cream, which came served with a hazlenut sour dessert cocktail. Out came the cheese board! My gosh, the perfect selection of cheeses with the most extensive biscuit range I’ve seen. Crackers, nut infused, sweet, savoury… the biscuits were delicious and we were literally spoilt for choice. 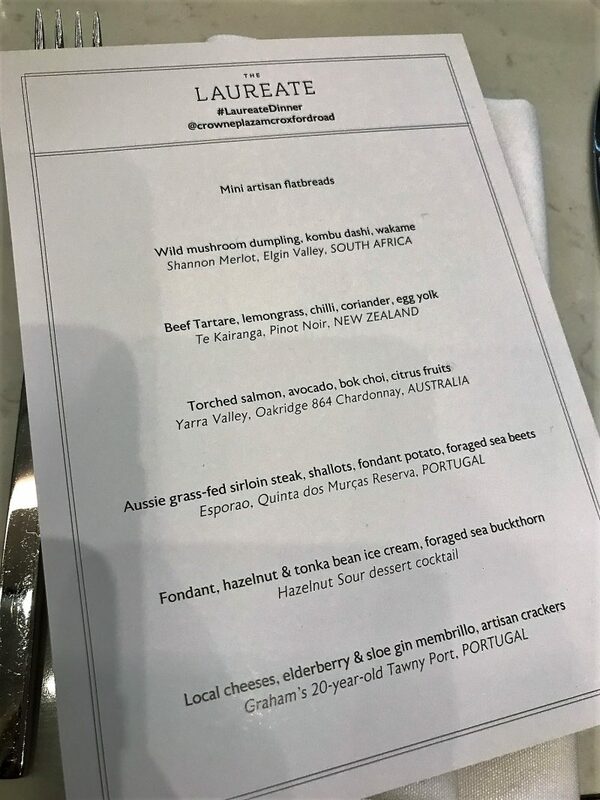 With each dish that was served, came a matching wine designed to pair up perfectly with the ingredients. We enjoyed fine wines across both red and white from South Africa, Portugal, Australia and New Zealand, each one talked through with us by the waiter. I’ll tell you something: you wouldn’t expect this restaurant to be located inside the Crowne Plaza. And I don’t mean that in any negative way to the Crowne Plaza chain. 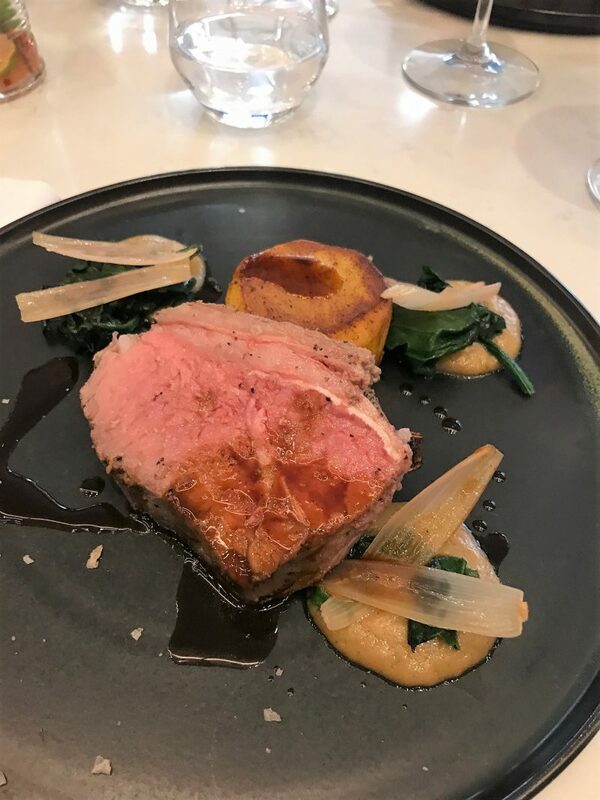 I simply mean this is a restaurant with exceptional service, excellent food offerings and a stunning decor, which I’d expect to see situated within Spinningfields or the Kings St of town. A new place I’ve added to my list of recommendations for both dining out and accommodation in Manchester, for a touch of class.